As if the New York Police Department's task in keeping the city safe from ISIS-inspired terrorists wasn't arduous enough, it now is faced with other adversarial forces that often hinder effective counter terrorism measures. The response by the NYPD, the FDNY, and the Port Authority Police was nothing short of outstanding. They quickly took control of both areas under attack and apprehended the terrorists. Saipov was shot by an NYPD officer as he yelled "Allah Akbar," brandishing what appeared to be two firearms. And Ullah, instead of waking up to 72 virgins, found himself handcuffed by Port Authority police officers after his bomb malfunctioned and he lay on the ground with burns and injuries to his torso. Immediately following the truck rampage by Saipov, who admitted to police that he was a member of ISIS, New York Mayor Bill de Blasio agreed with the statement Deputy Commissioner of Intelligence and Counterterrorism John Miller made to the press that this attack "isn't about Islam" or about "what mosque he attends." This is the same mayor who gutted a major part of the city's counter terrorism surveillance initiative created by the NYPD's Intelligence Division in 2006, and its report titled, "Radicalization in the West: The Homegrown Threat." The report was an eye opening tutorial on how and where Islamic radicalization takes place. The mayor called that program "broken." If that were not enough, the New York City Council is considering a bill that would force the police department to disclose in public reports the specific tactics and resources it uses when investigating terrorism. The bill would also limit when the police could enter a suspect's residence or stop and question a person. Political correctness handicaps the police, as they are frequently forced to battle against the syndrome caused by politicians who should know better. Americans by and large are not happy when PC replaces common sense, particularly when it comes to preventing terrorist attacks. The New York Post editorial board went so far as to say that the people would no longer tolerate such hindrances on law enforcement: "New Yorkers don't want a police department that merely arrives at the scene of a tragedy to pick up the pieces. They want attacks like Monday's prevented." Immediately following Monday's explosion, NYPD detectives and members of the Joint Terrorism Task Force rushed to several apartments in Brooklyn where the suspected bomb maker Akayed Ullah lived. As a normal police procedure, they evacuated the building and began a search, not only for evidence, but also for the possibility of additional improvised explosive devices (IEDs) that Ullah may have constructed. That evening, while the investigation was still ongoing, CAIR-NY legal director Albert Fox Cahn issued a statement on behalf of the Ullah family complaining about the police department's action. I guess CAIR thought the police should have left young children in the building where a bomb may have been. This is the same organization that accused the NYPD of spying on Muslims. This is not its first go round (battle) with those who are charged with protecting the United States from terrorists. 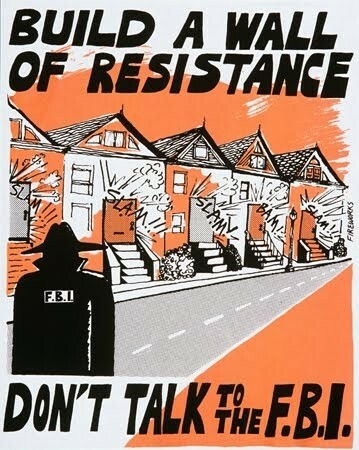 In fact, in recent years CAIR officials have actually encouraged members of the Muslim community to refuse to cooperate with law enforcement agencies investigating terrorism. They portrayed cops in sinister garb sneaking through the neighborhood as villains not to be trusted. Facing the terrorist threat head-on in New York City is not something that the NYPD shrinks back from. On the contrary, the men and women whose remarkable service has kept us safe welcome the fight. But it sure would be a lot easier if they didn't have to constantly look over their shoulders to defend against attacks by politically correct politicians and the activist groups who never get the facts straight.